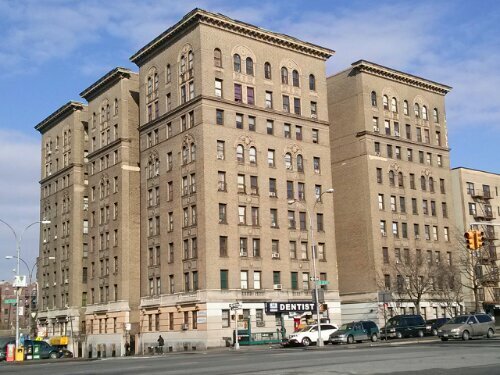 The Lewis Morris apartments, where most of the doctors on the Grand Concourse used to have their offices. 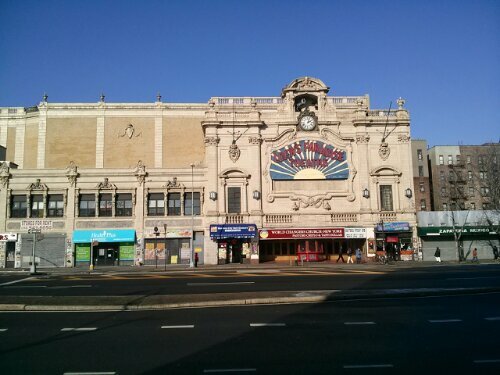 It was also the most well-known, most prestigious building. I thought this building at 1800 G.C. 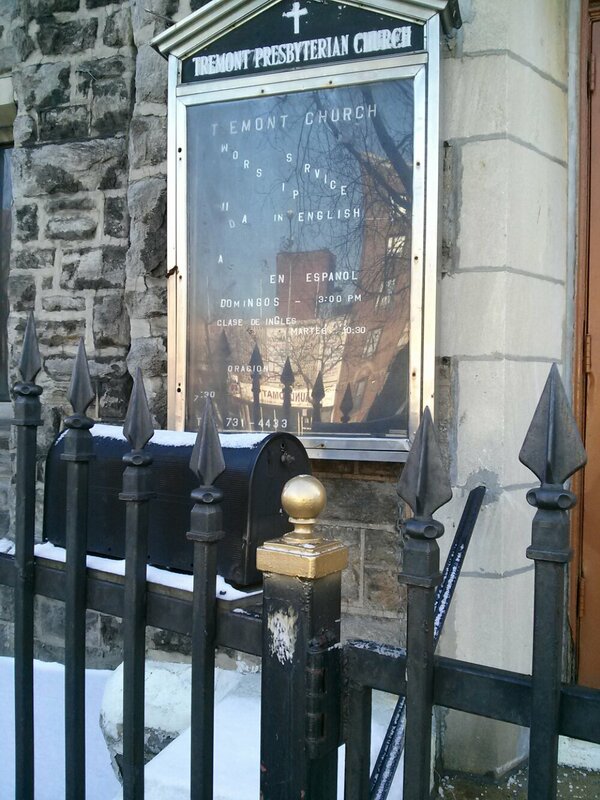 was a old synagogue, but it was the Pilgrim United Church of Christ, per Forgotten-ny.com. 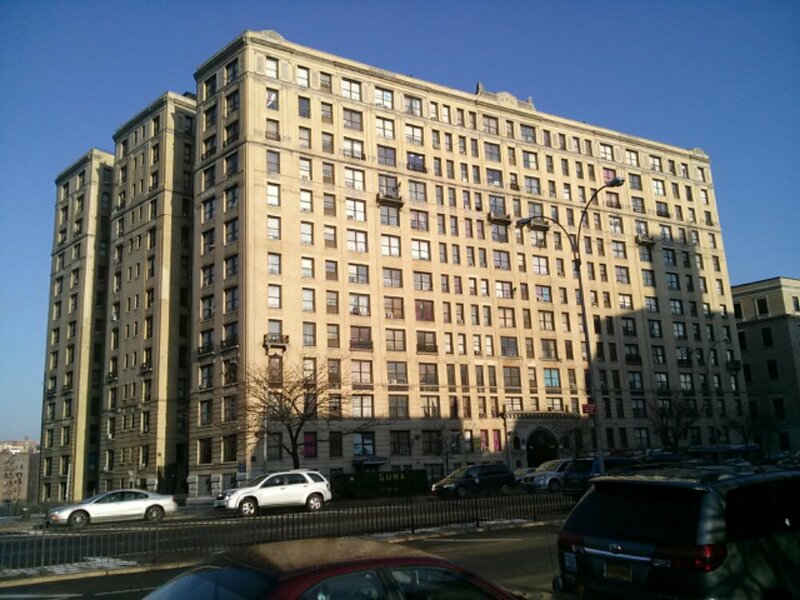 The Bronx Flatiron Building, at 1882 Grand Concourse. 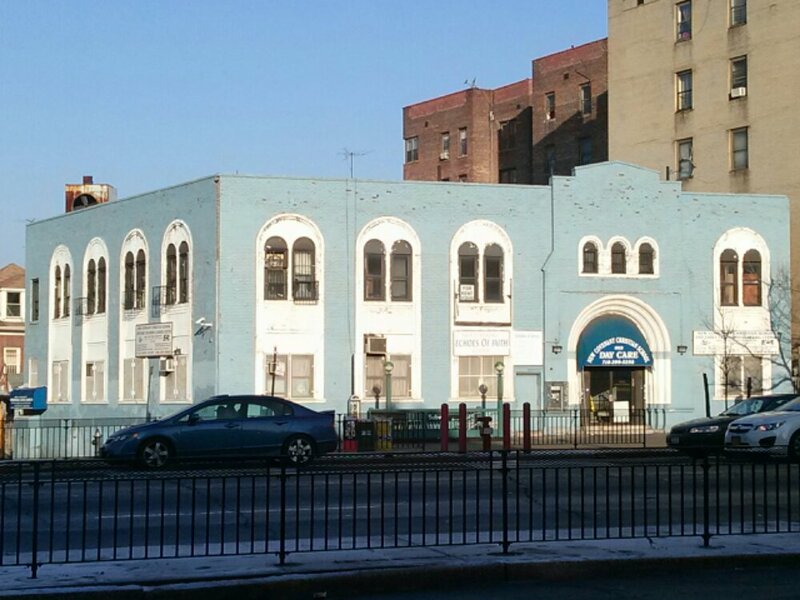 former Temple Zion, now a day care center. 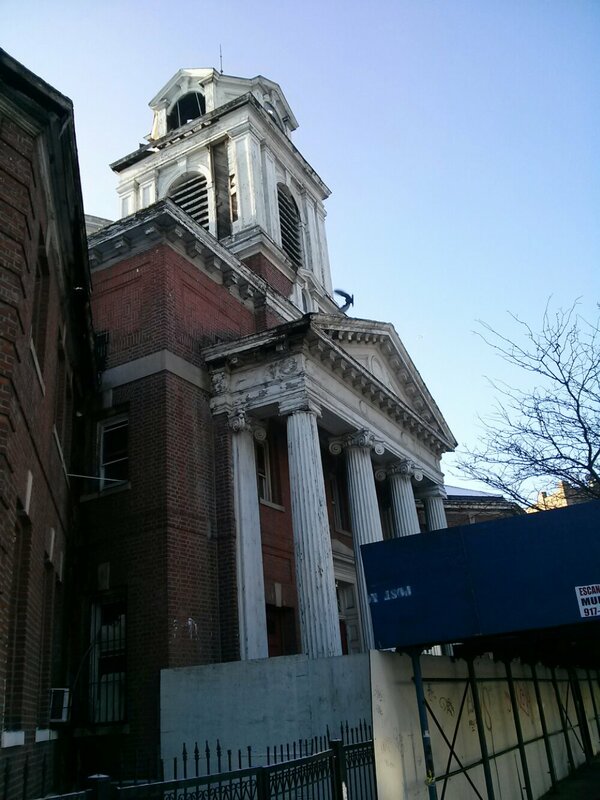 One of 260 Jewish synagogues that used to be in the South Bronx. Tremont Presbyterian Church. Note the gold spray-painted post ball cap. Trying spiff things up as much as possible. Apartment building designed by Howard Ginsbern. 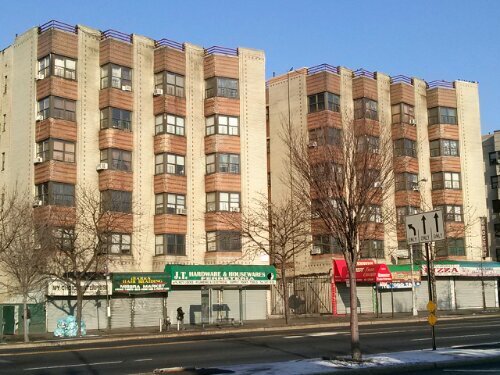 Note the zig-zig facade and wrap-around windows. 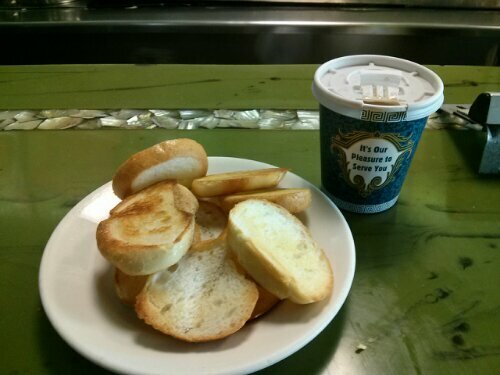 Breakfast at one of the many little coffee shops that have sprouted up on the Concourse. These nifty little battery-powered motor scooters are quite common. 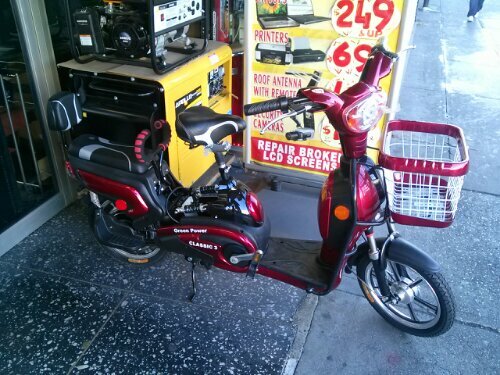 Great transportation for $750, and easy to park. 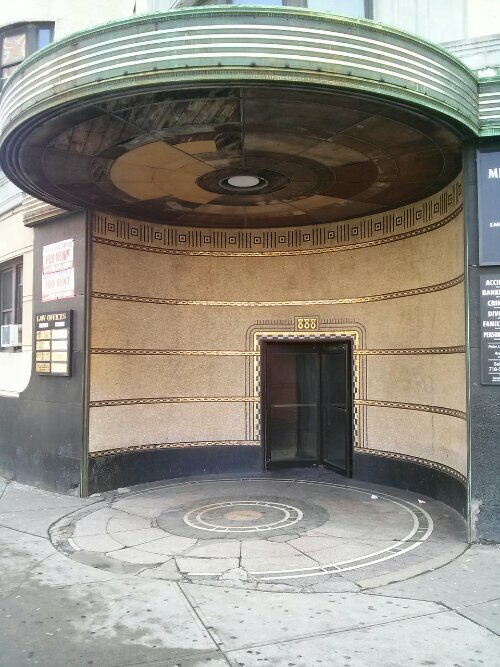 the only curved entrance on the G.C. 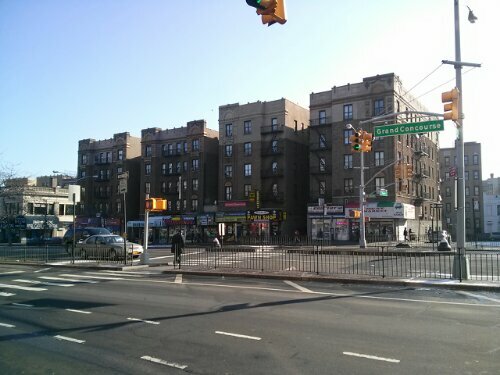 Much more on these details, these buildings, and on the area in Constance Rosenblum’s Boulevard of Dreams: Heady Times, Heartbreak, and Hope along the Grand Concourse in the Bronx. 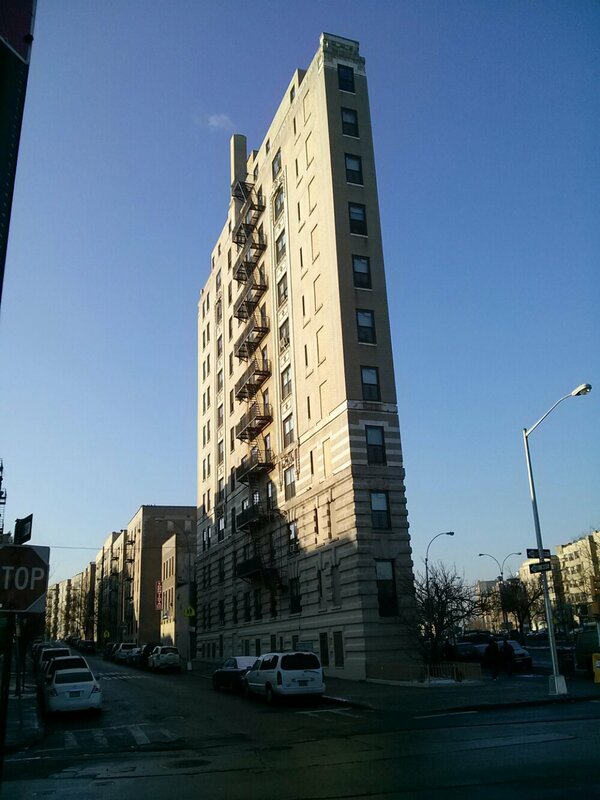 I lived in the Lewis Morris building in the 30’s & 40’s. Do you know when it was built?